These have rectangular jaws without lining . Length can be maximum 600mm. 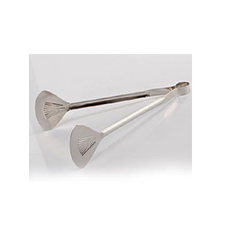 We are reckoned names in the industry, offering wide range of Polished Stainless Steel Ice Tongs that are non toxic in nature and are delivered in varied sizes. They have smooth finishing and are delivered in varied specifications. We deliver them as per the exact preferences of our clients. Comprehending the varying demands and requirements of our customers, we are captivated in presenting best-in-classTongs. We are renowned and trusted enterprises in the industry, offering a best quality array of Roasting Tong to our esteemed customers within the committed period of time. 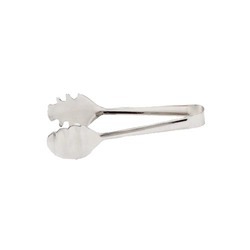 Our organization is well known in the industry for catering a distinguished segment of Steel Tongs. These products are manufactured using high quality components at our ends.